In fact, most people feel that a constant state of business is necessary to function in our modern world. Even if this is true, sometimes people get too busy and things get out of control. This just doesn’t happen overnight, it kind of sneaks up on you. You get way too busy and the next thing you know, you are having anxiety attacks, strained relationships and sleepless nights. It doesn’t have to wind up like this, there are ways in which you can take back control of your life. 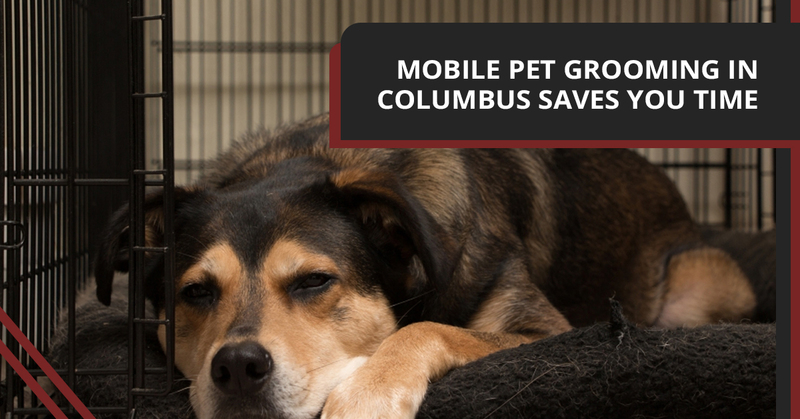 For example, calling Buckeye Pets, your dog, cat, and bunny pet grooming service in Columbus can give you the extra time you need to get some things accomplished throughout your day by dropping your pet off at our Buckeye Pets grooming salon. You see, it’s doing these convenient tasks that make your life so much better. You might not think you are too busy, but how can you be sure? Here are a few warning signs that you are too busy. If you can’t remember the last time you sat down to dinner with the spouse and the kids, you might be too busy. Long work days are often to blame for people who are too busy to spend time with their family because your just too pooped. You wind up working late to get that report, floor or last table done, stop by a fast food joint on the way home and totally pass out on the couch after scarfing a Big Mac. And to think you missed out on meatloaf, mashed potatoes and pleasant conversation with the spouse, kids, family and friends. We all have times that we are tired and barely drag ourselves through the day, but if you are completely burnt out every day, it could be a sign you are too busy. You feel as though it takes an incredible amount of energy just to complete a simple task. Small setbacks trigger inordinate feelings of distress and frustration. You even get plenty of sleep yet constantly feel tired. This is because you are too busy and really need to find ways to slow down and enjoy life a bit. You boast to be a jack of all trades, yet you are a master of nothing. This is because you have taken on too much in your life and are just plain too busy. You joined the gym, but never have time to go. You signed up for swing dancing but haven’t learned the first steps. You joined a bowling league and have yet to buy a bowling ball. In a nutshell, you have totally over-committed and need to back off a bit. You have like six weeks of vacation saved up but you have no plans on using them. This is because you are freaked out about taking time off and falling behind. This is a legitimate excuse because your plate is so full that even taking a couple of days off will put you deep in the hole. Here is a novel idea; delegate some of your responsibilities to others and take some much-needed time off. For you, multitasking is the norm. You shave while driving to work, talk on the phone while typing a report and compose an email on your iPhone while using the restroom. The problem is that you switch back and forth between so many tasks that none of them get your full attention and don’t turn out as good as is expected. The reason you don’t know the answer to this is that you are so busy, you cannot possibly remember something so trivial. You also don’t remember what you had for breakfast because you were too busy to eat breakfast. It doesn’t help your cause skipping out on the most important meal of the day. If you are missing out on meals because you are too busy, you need to rethink your life choices. If you lead a busy life, do what you can to slow things down. For example, call Buckeye Pets and have them come to you to have your pets groomed. It will save you time.